There is a lot of debate in the baseball community when discussing hitting mechanics. Some believe in the linear hitting mechanics, while some believe in more of a rotational hitting mechanics. Me personally, I don’t care what you call it, I just like a good swing. I actually believe that the swing is a little bit of both, linear and rotational. Now here’s where the debate begins. 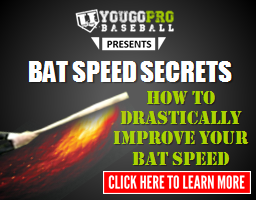 So, what are the best baseball hitting mechanics? 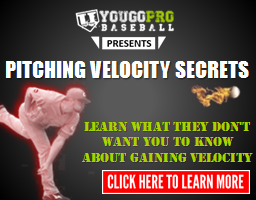 On this section of my website I have made a handful of videos that I believe will help you understand my thoughts on hitting mechanics. Of course if you have any questions about hitting mechanics or anything else related to hitting in baseball, please comment below. I was going to start off with the proper set up in the batter’s box and then move on to the stride, etc. 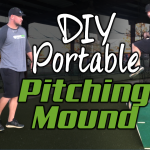 Instead I decided to just give you the meat and potatoes because I think once you see this video and understand my philosophy on hitting mechanics, then the rest of the videos will make more sense. So, here’s my take on how the swing should look. #2 – Squash The Bug? There’s nothing worse than when I see a hitter spinning out on his backside and gaining no ground. Even worse than that is a hitter that does that, but then argues how it’s the right way to swing. 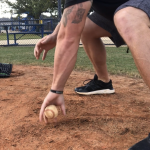 Here’s a video I made recording a professional hitter to show what the back foot really does in baseball hitting mechanics. Another big misconception in hitting mechanics is the way you should grip a baseball bat. Many coaches say to line up the knocking knuckles when gripping the bat. The other option, which should be the only option, is to grip the bat comfortably. What I have found is that most hitters, when they grip the bat without knowing I’m looking at their hands, will hold it in more of a box grip. It may be a little more or a little less, but it’s close to a box grip. If you don’t know what a box grip is, watch this video and be schooled! You’ll see some big league hitters standing straight up in the box and you’ll see some more bent over. No matter where they start though, they all get into a good body angle as they begin their swings. 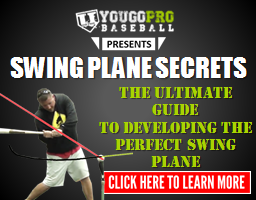 Body angle is important in hitting mechanics because it promotes the proper swing plane (see video #1). Watch this video to see how the body angle should look. Josh and I played together at Auburn University. After Josh saw my website, he had a few tips for me, and his other Twitter followers. 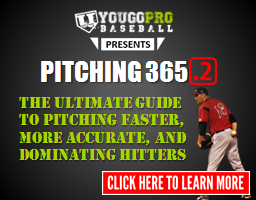 The video below are the 25 things that I learned from Josh Donaldson about Hitting Mechanics. By using the front door back door metaphor it is easier to grasp the idea of staying closed with the upper body and when to let it open up. 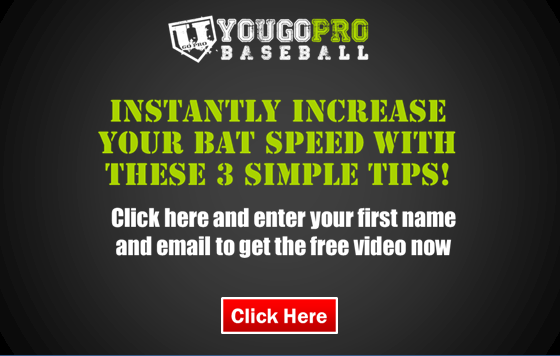 The hitters who are able to do this well are able to generate a lot of energy through the baseball. If you are struggling with front door back door hitting mechanics, then I definitely suggest the Catch and Crush Drill. 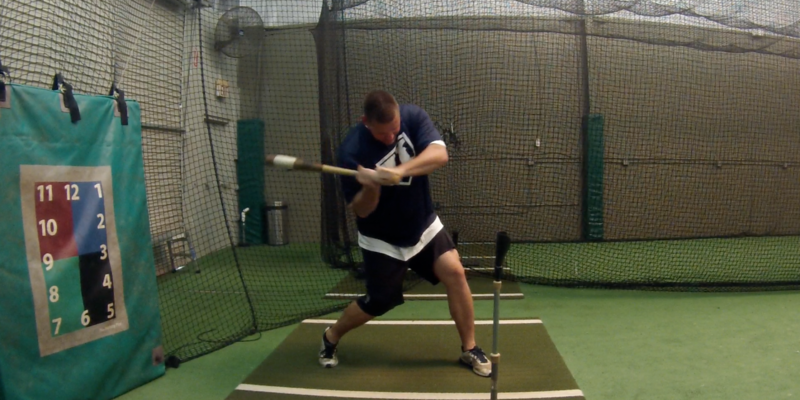 When working on your hitting mechanics it is sometimes good to get yourself on video. You always want to shoot your video from 90 degree angles. When you use the straight on angle, you can check yourself for 7 different things related to hitting mechanics. 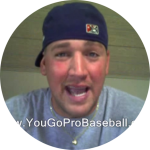 In this video I talk about the 7 checkpoints at contact when hitting a baseball. This is another big misconception when it comes to hitting mechanics. 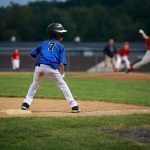 Most coaches think it is good to “get the front foot down early”. In reality, that’s not what happens at all in a great swing and if you’re practicing that way, you are actually losing power. Watch this video to understand more. The front leg is a very important part of your baseball hitting mechanics. 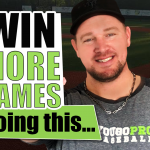 In this video, I answer a question I received about how the front leg works when hitting a baseball. The important thing to remember here is that the front leg is what helps you leverage your energy. If you use your front leg wrong, you could be losing power. Watch the video! What the hell are body eyes? Good question! They’re made up, imaginary eyeballs that are on your back knee, belly button, and adam’s apple. All you’re trying to do in a swing with good hitting mechanics is keep your body eye and your real eyes on the baseball at contact. Watch this video for a better explanation. 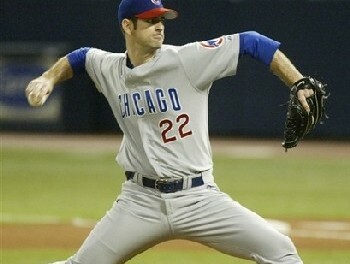 Take the pad off your front elbow and stop being a sissy! It’s time we put that front elbow to work! 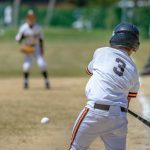 The front elbow plays a big role in how the hitting mechanics come together in a baseball swing. If the front elbow is working down too much, you’re going to be in ground ball city. 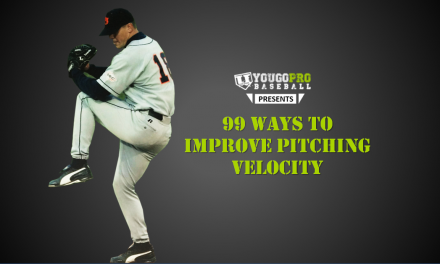 If your front elbow leads you to the pitch and then up at a good angle, you’re probably going to have more success! Big Frank led his league in home runs and batting average by working on some of the things mentioned in videos 1-6. Take a look at Big Franks hitting mechanics and be jealous. 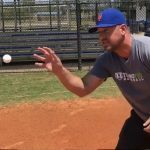 Frank looks like a big leaguer with that swing and even breaks my lights in this slow motion video of some of his hitting mechanics. 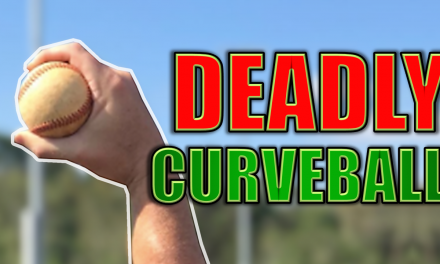 In this video I share with you why I think a true linear hitting style is counter productive. 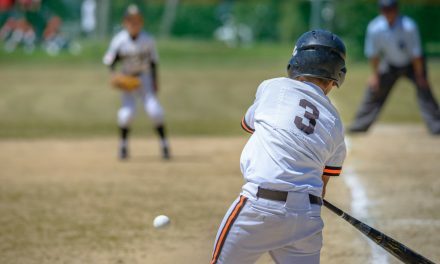 Swinging down on the baseball makes it hard to time and even if you square it up, you’re hitting it into the ground. When it comes to hitting just remember, on path, bottom half. Check out this video. 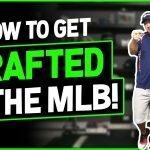 I really hope you liked these baseball hitting mechanics videos. I hope this was informative and that you learned something new. Please, leave a comment below if you have any questions or just want to drop a comment. 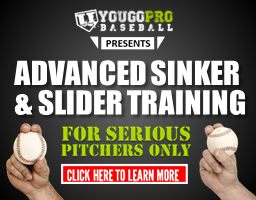 Don’t forget to SHARE this page with your baseball friends! Why does the label need to be facing you when you use a wood bat? Great question. It’s because of the way the grains are in the bat. For ash bats you want to where all the grains come together. For maple bats you want to hit where the “ovals” are. Company’s know this so they put their label in a certain spot to make it easy for hitters to find the best spot to hit with and so that they break less bats. Does that answer your question? That is the absolute best explanation I have ever heard – awesome. Thanks! Thank you very much James! I’m glad you found it useful/helpful. I’m here if you need me! John, I bought your swing plane videos, but I don’t know where to go to establish a user name and password so that i can log in. 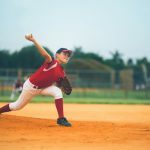 I am new to baseball coaching and I have learned a lot and been able apply some of the things I have seen to my players. so thank you. Awesome! You’re welcome! And thank YOU! Great videos! I have sons in college(junior), HS(senior) and middle school(8th grader) playing ball. Over the years, I have completely changed my opinion about hitting from “old school” linear to rotational, and now a combination of both! I coach my 14u(middle school) on an extremely competitive travel team, and some of his teammates are playing HS summer ball. Although as their coach, I’m proud of their success on making their school teams, most /if not all of their school coaches are requiring them to swing down instead of on plane! This is very frustrating as a coach! When do you think the “old school” will catch up with the obvious info out there! It’s refreshing to see someone teaching the proper swings as of the players at the highest level. Hey JRich, thanks! I hope you and your boys are doing great! I’m not sure if it will ever go away unfortunately. But I do think that it’s actually a good thing with so much information out there that the kids are going to have to learn what makes sense to them and what feels good. So in the end, I think it’s going to breed a better bunch of baseball players over the next decade and more. Sounds like your boys are already figuring it out and having success! Keep it up Coach! Thanks again! Hey John……your videos have taught me some good things about hitting…..I have one question tho?….Are u still in the Minors….or are you done playing baseball….also….did u ever play any Major league games…..
Hey TJ. Thanks man. I do not play anymore. My last year was 2010 I believe. I was called up for a few big league spring training games but spent most of my career in the minors.